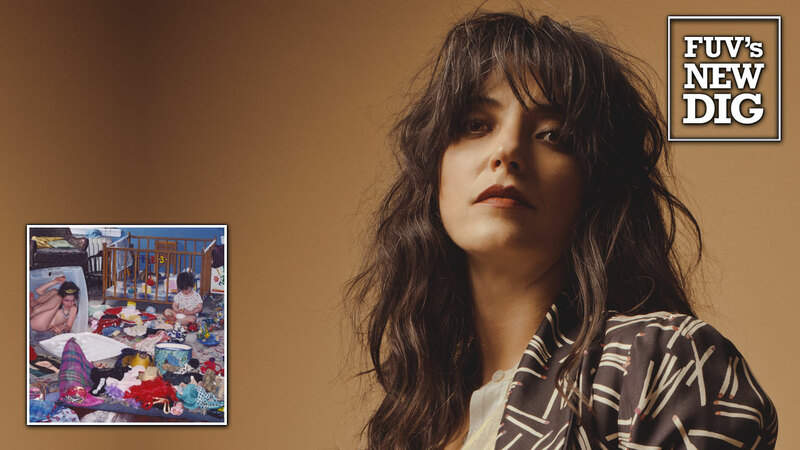 It’s been almost five years since the release of Sharon Van Etten's last album, Are We There. But she had a good reason for the gap between that 2014 album and 2019's Remind Me Tomorrow—life happened. After touring in support of her Are We There, Van Etten pressed pause on her music career and set her sights on receiving her bachelor’s degree at Brooklyn College. After years of writing and singing introspective songs, and hearing the personal experiences of her fans, Van Etten thought a degree in psychology and a career as a therapist might be the next logical step in her life. That seemingly simple decision unleashed a torrent of life-changing events that pulled Van Etten in numerous, complicated directions, but they enriched her inner self. In 2016, shortly after enrolling in college, Van Etten was cast in "The OA," the Netflix science fiction drama series that was co-created and directed by Zal Batmanglij, the brother of Rastam Batmanglij, formerly of Vampire Weekend. “The OA” opened other doors for Van Etten, including an appearance as herself in David Lynch's revived “Twin Peaks." She also composed the score for Katherine Dieckmann's 2016 film “Strange Weather,” which starred Holly Hunter. In addition, Van Etten and her manager and former drummer Zeke Hutchins became parents to a son. So while it goes without saying that the recent years have been hectic, Van Etten has embraced these new and exciting detours. In fact, her personal and professional whirlwind helped form the songs on Remind Me Tomorrow. It may not always sound like it, but Remind Me Tomorrow, often exudes positivity and optimism. Lyrically, the album sometimes seems like diary of Van Etten's current challenges and the responsibilities that drive her life now. Working with producer John Congleton, Van Etten has made a record that doesn't rely on past formulas. She intentionally turns away from guitar-based riffs in favor of synthesizers, creating songs that are less structured and more like soundscapes, reflecting her adventures in film and television. In fact, while composing the “Strange Weather” score, Van Etten simultaneously wrote some of the songs that landed on Remind Me Tomorrow and experimented with different techniques. “I Told You Everything,” which opens the album, is ominous and sparse. There’s no denying that “Jupiter 4,” named after the synthesizer that played a major part in the sound of this album, could easily have easily sprung from “Twin Peaks." But both tracks convey positivity, with “Jupiter 4” even sounds lyrically like a love song. “Seventeen” and “Comeback Kid” give Van Etten the opportunity to return to places from her past. Besides reflecting on where she was and where she came from, she also seems to be encouraging her younger self to grow and take on that changes that are in her future. This year marks the tenth anniversary of Because I Was in Love, Van Etten’s first commercially-released album (after a series of self-released collections). With this anniversary in mind, Remind Me Tomorrow, becomes an even more remarkable example of a musician's changeable path in life. In the past, Van Etten’s fans related to her brutally honest songs about the ups and downs of life and love. Now, as she enters a new, happier chapter, an older, wiser, and more fulfilled Van Etten has a vivid and rewarding array of new stories to tell. A conversation with Sharon Van Etten and Carmel Holt, recorded at the Sonos flagship store in Soho, airs this Friday, January 25, at 1 p.m., EST, on 90.7FM, also streaming online.